The minute we see a girl with a crown braid, we know she means business. With practice, the braided hairstyle can take all of 10 minutes, but for beginners, the crown braid can be a bit trying. Because we’ve spent hours upon hours trying to perfect this hairstyle, we’ve come across some pretty good tricks of the trade, which we’re sharing below. 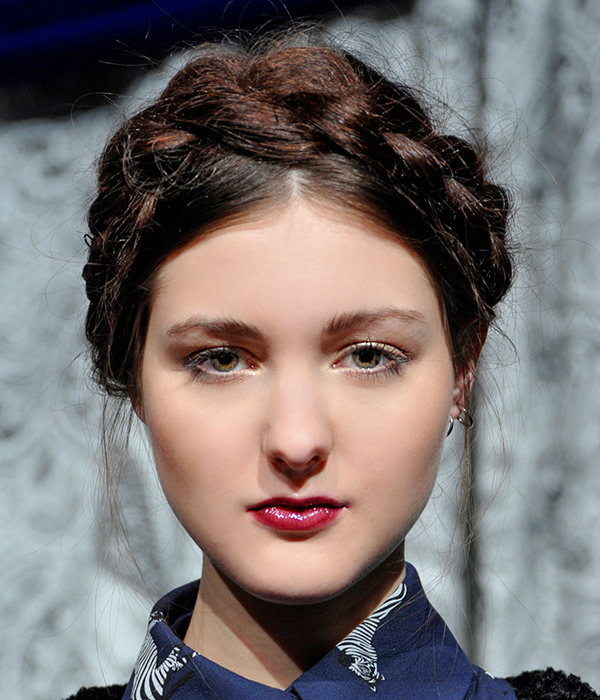 Read on for what you’ll need, plus the tips and tricks to create the perfect crown braid! Braids always hold better on dirty hair — the more texture, the better! If you’re working with second or third day hair, that’s ideal. For clean hair, make sure you add in some texture spray before braiding to really make this hairstyle hold. Because of the way it’s styled, the crown braid works best on longer hair. That way, when you’re pulling the braids up to the top of your head, they’ll reach far enough to give you a full “crown” look. Step 1: First things first, part your hair in the center. If you prefer a side part, you can do that instead, but part the back of your hair down the middle to keep things even on both sides. Spray some dry texture spray from mid-lengths to ends. Step 2: Section your hair into two large parts, one on either side of your head. Step 3: Beginning on the left side, braid the hair into a classic three-strand braid from the ear down all the way to the ends, then secure with a clear elastic. Braid the right side of the hair the same way. Step 4: Take the left braid up and over the top of your head as far as it will reach, pinning along the top with bobby pins. Bring the right braid up in the same way, crossing over the left to hide the ends of the braids. Step 5: Pin any stray hairs and gently pull apart the braids a bit to get some extra volume and that perfectly messy look. Step 6 (Optional): For a softer look, pull a few face framing pieces out so that your crown braid has a softer, more romantic look. Voilà!